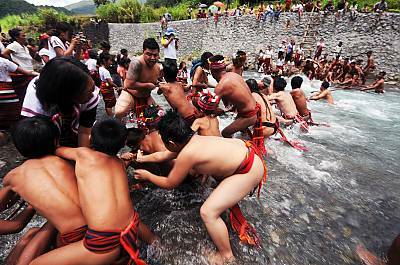 EN: A referee, who is a village elder, counts from one to three for the two tugging teams to start pulling the rope. 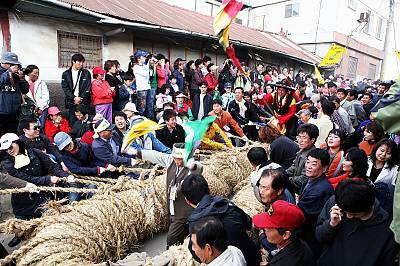 EN: An elderly women encourages one side of the tugging team to exert all the energy to win the competition. 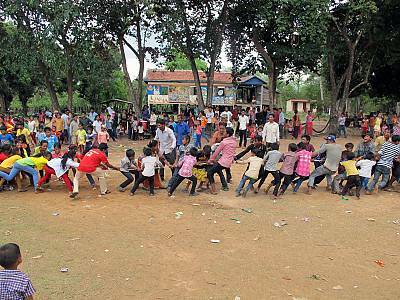 EN: Two tugging teams are trying to pull the rope in order to win each other. 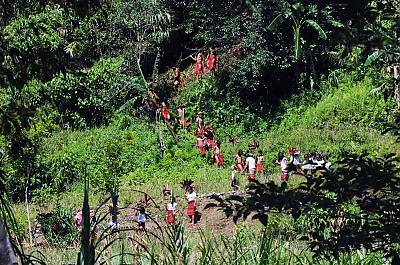 EN: Arrival of participants from Barangay Baang bearing the pakid decorated with dong-a leaves. In front are women and children waving the red leaves as they march to the river. EN: The contending men from Barangay Hapao in the foreground and Barangay Baang. Due to the strong current in the original site of the Punnuk, the actual tugging was transferred to another part of the river where the water was less violent. 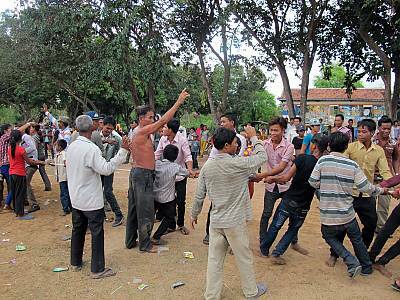 EN: The Viet in Huu Chap village, Bac Ninh province chose wealthy young men in the 'unstained' families participating in the tugging game and divided them into two teams: East and West. The East always wins, symbolising a good harvest. 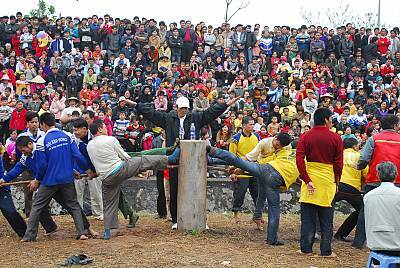 EN: Tugging festival in Huong Canh village, Vinh Phuc province. Tugging cord is made of an approximately 50 meter-length rattan cord. 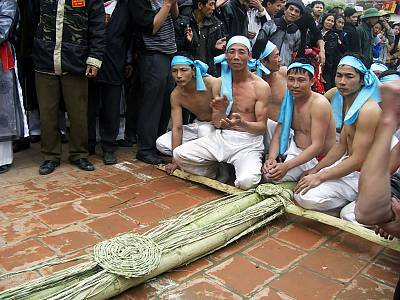 Tugging game and ritual of this community is considered a demonstration of the old navy training of King Ngo Quyen. 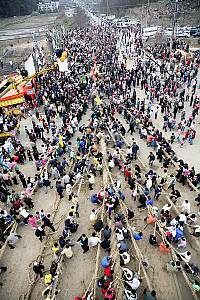 EN: The participants of Gijisi Juldarigi pulling the female rope to the place where the game will be held. 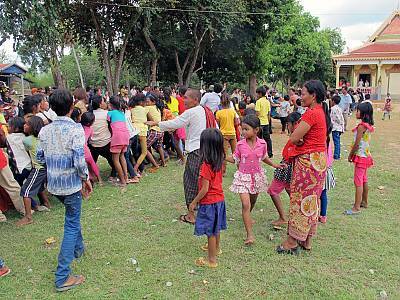 EN: The participants of Gijisi Juldarigi pulling each strand of the rope during tugging ritual. 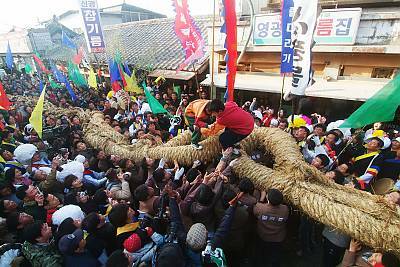 EN: Part of Yeongsan Juldarigi tugging ritual held on a commercial street.